BALTIMORE — One sunny morning, several men and one woman wearing hard hats pick apart the insides of an old vacant rowhouse. Dust dances around what was once a living room. A rotting stairway looks as if it could collapse. The workers walk back and forth quickly, stomping their boots. It’s mostly the wood they are after. It will be resold to builders and do-it-yourselfers. It’s all part of “deconstruction,” a method of taking down buildings that is growing in popularity across the country. Deconstruction is an alternative to demolition: Derelict buildings get torn down piece-by-piece, then those pieces are sold. 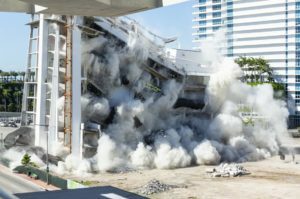 Advocates hail deconstruction as a win-win that is more economical and environmentally friendly than demolition. They say it creates needed jobs and can help depressed cities turn things around. “The systematic deconstruction and dismantling of buildings has a profound role in transforming communities,” said Anne Nicklin, executive director of the Building Materials Reuse Association, based in Chicago. Deconstruction seems to be on the rise, Nicklin said, citing programs not only in Baltimore, but also in Chicago, Detroit, Portland, Buffalo, Cleveland and other places. “All of those deconstruction and job growth programs have significantly increased over the last five years,” she said. In some cases, as in Baltimore, many employees were desperate for the work – former inmates or former addicts trying to change their lives. In other cities, profits are donated to community grassroots efforts. The 5-year-old Details is under contract with Baltimore to deconstruct buildings taken over by the city. Details is taking down the structures piece-by-piece, dozens each year, and reselling the parts in a building downtown. The employees say the work gives them confidence. To be sure, deconstruction is not perfect. Some people note that it can take four times as long as simply demolishing a property. Others point out that the extra employees and time it requires make it more expensive. And sometimes, the concept may not work. When the Museum of Modern Art in New York City announced that its American Folk Art Museum would move to another space amid complaints from the architects, the building’s celebrated facade was moved into storage as a compromise. As of last year, however, that facade remained in storage. While deconstruction has been drawing attention as of late, the concept has been around for decades. It picked up in 1996, when the Used Building Materials Association formed as a non-profit to assist people interested in deconstruction throughout North America, according to The ReUse People of America, a national deconstruction non-profit based in Oakland. The organization now has 64 members listed on its website. Cities once considered part of the “rust belt” are embracing deconstruction. In Western New York, Buffalo Mayor Byron Brown has said that with the downsizing of the steel industry and subsequent abandoned homes and other buildings throughout his city, he has had to face the fact that there will never be an influx of newcomers to populate the blocks of vacated homes. In Michigan, the Architectural Salvage Warehouse of Detroit is reselling the valuable parts of vacant structures — many of them victims of the downsizing of the auto industry. The organization also trains workers for salvage work and other occupations. Baltimore’s Details, a subsidiary of the Humanim non-profit human services organization, wants to help revitalize some of the neighborhoods beset by unemployment and poverty that were thrust in the national spotlight in 2015. That’s when Freddie Gray, a black man, died after a rough ride in a police car, setting off violent rioting that drew attention to unemployment, derelict housing and other troubles in Baltimore. The city has an “extraordinary need” for getting rid of derelict housing and for what Details has to offer, said Michael Braverman, Baltimore’s housing commissioner. “We lost 350,000 people since our peak,” he said. In 1950, almost 950,000 people lived in Baltimore. Today, the city has about 615,000 residents, the Census Bureau estimates. Research shows that weeding out the vacant housing gives cities a better chance to survive, Carroll said. 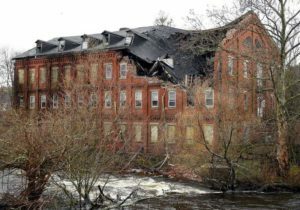 Details and its 55 employees deconstruct about 200 buildings a year, most of them in Baltimore, but about 75 of them are along the East Coast and even as far as the Chicago area, he said. “Whether it’s Detroit, Chicago, Cleveland, if you don’t hit a critical mass of occupancy, people are going to leave,” Carroll said. Those employees who might otherwise not find work due to past challenges make up about 70% of Details’ workforce. Carroll said Details tries to help many of them beyond work skills. For example, Carroll found that his employees coming out of prison needed help learning how to manage money and have confidence to make their own decisions. Details has helped them with that, he said. Damon Toogood spent time in jail for drug possession and could only find a job in fast food after his release. It was not easy trying to help raise two daughters on that salary, he said. On the West Coast, Portland last year passed an ordinance that mandates deconstruction for all homes built in 1916 or earlier. Before the ordinance, about 30 homes were deconstructed annually, but the city estimates that the new measure will push that number up to 100. While deconstruction may take longer — 10 days compared with the two days that demolition takes — it is more environmentally sound, said Steve Reichard, executive director of The ReBuilding Center in Portland. It also makes more sense economically, Reichard said. “There are at least six jobs in deconstruction for every job in demolition,” he said. The ReBuilding Center deconstructs buildings and resells the materials out of a warehouse that it owns at 50% to 90% off retail, Reichard said. Profits are reinvested into programs and efforts that help residents affected negatively by gentrification, he said. The organization has held science and aeronautics sessions for children in a predominantly black neighborhood and has provided building materials to homeless villages around Portland. It also donated materials to grassroots community projects. In Baltimore, residents were mixed on whether deconstruction could help their neighborhoods. Michelle White, who stopped to watch as Carroll’s team deconstructed a building, remembered when the block was thriving and the American Legion hall hosted wedding receptions. But no more.